Sam Mechanical provides installation, maintenance and repair services for Mitsubishi Ductless Air Conditioning and Heating Systems to residential and commercial customers. Sam Mechanical’s professionals are licensed and local, and have deep understanding about this ductless system. Mitsubishi ductless air conditioning and heating systems are more energy efficient than standard HVAC systems, and up to 40% more efficient than traditional window air conditioners. Mitsubishi systems are apt for homes, offices and restaurants. These ductless systems directly deliver air into different zones. They are designed with a small outdoor unit and 1 or more indoor units that need nothing more than mounting, and connectivity to electricity. Sam Mechanical’s contractors can replace your inefficient cooling and heating system with cost-effective Mitsubishi ductless air conditioning and heating systems. These systems will not only help in lowering the energy bills, but also provide better temperature control. The ductless system operates on lesser power –as they are small in size. These systems directly deliver temperature controlled air into the room. The multi-split feature allows homeowners to create “temperature zones”, which means they do not have to cool or heat the room that is not occupied. 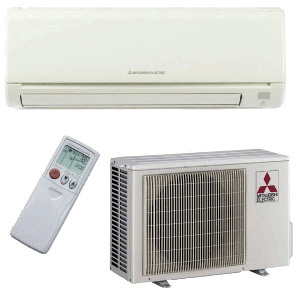 Mitsubishi ductless air conditioning and heating systems improves the indoor air quality. Ductless systems offer multiple filtration layers that reduce allergens, bacteria, pollen, dust and other air particulates. These systems are easier to clean as compared to traditional HVAC systems. Installation of Mitsubishi ductless system is easy and quick. Unlike, ducted HVAC systems that take several weeks, Mitsubishi systems are less invasive to install. Depending upon the number of outdoor and indoor units needed, this ductless system can be installed in as little as one day. 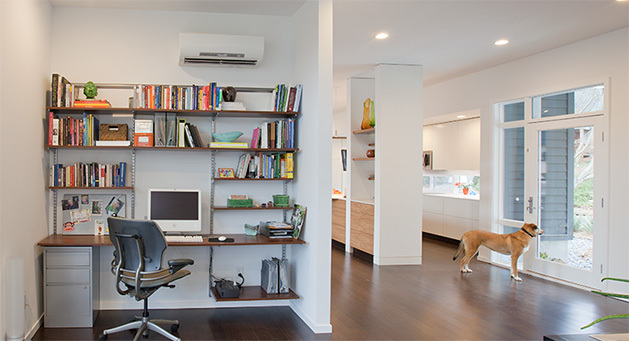 Mitsubishi ductless systems use small pipes that need a mere 3-inch hole. Thus, homeowners need not have to worry about rebuilding ceilings or walls around ductwork while installing these units. 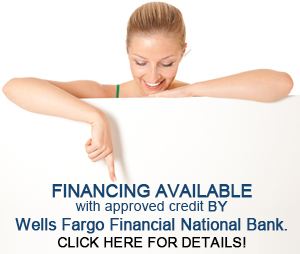 Moreover, our professionals are well versed with the ductless system installation techniques. Upgrade your HVAC System to Mitsubishi Ductless System. SAM MECHANICAL will handle all the work. Our value driven professionals will provide the best ductless cooling and heating solutions according to your needs and requirements.